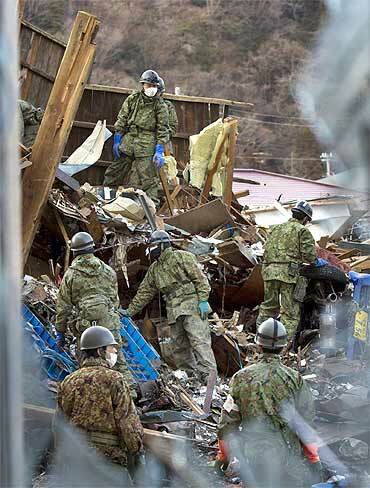 The scene at an evacuation centre in Ofunato. 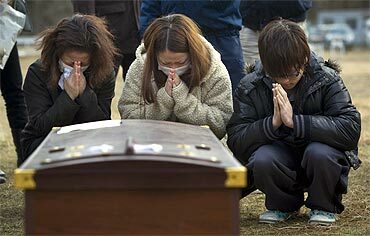 A family grieves at a temporary burial site in Kensennuma. 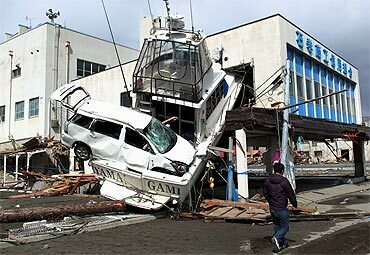 Scenes such as this one in Ishinomaki, Japan, are still a common sight in northern Japan. 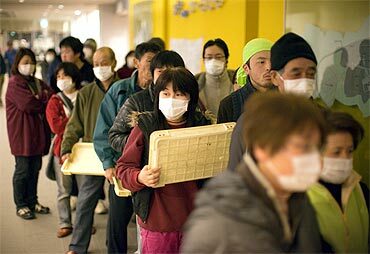 Displaced earthquake victims line up for a meal at an evacuation centre in Kesennuma. 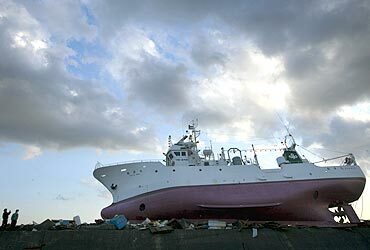 A ship that had been lifted by the tsumani waves atop a wall at the Ishinomaki port draws onlookers by the dozen. 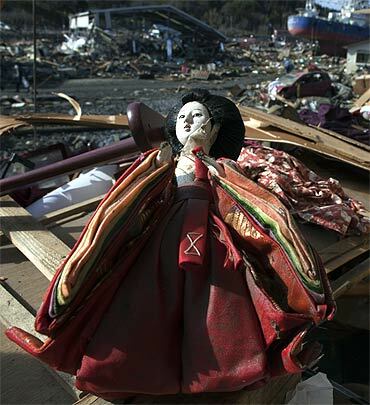 A traditional Japanese Hina Doll is recovered from a destroyed home in Kesennuma. 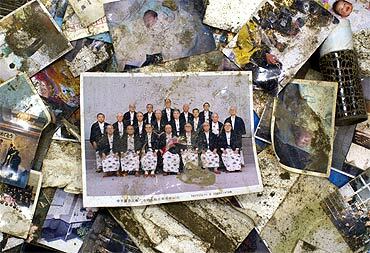 Family photos displayed at a makeshift evacuation centre for people to recognise and take back, in Rikuzentakata. 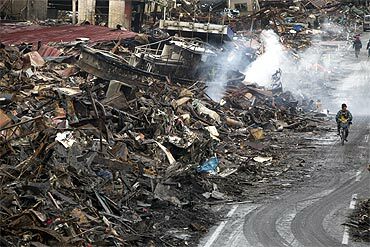 The rubble from a village in Kesennuma, in Miyagi province, lies piled up by the road. 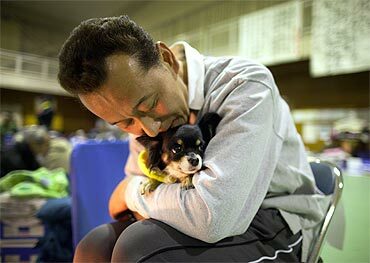 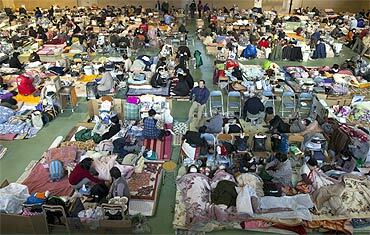 Victims packed into an evacuation centre in Rikuzentakata.